Most stream snipers follow (and mess with) their streamer of choice once or twice for laughs. Then they get on with their lives. This one, however, plays for keeps. Forsen is a streamer who’s just as notorious for his out-of-control audience as he is his own questionable decisions. 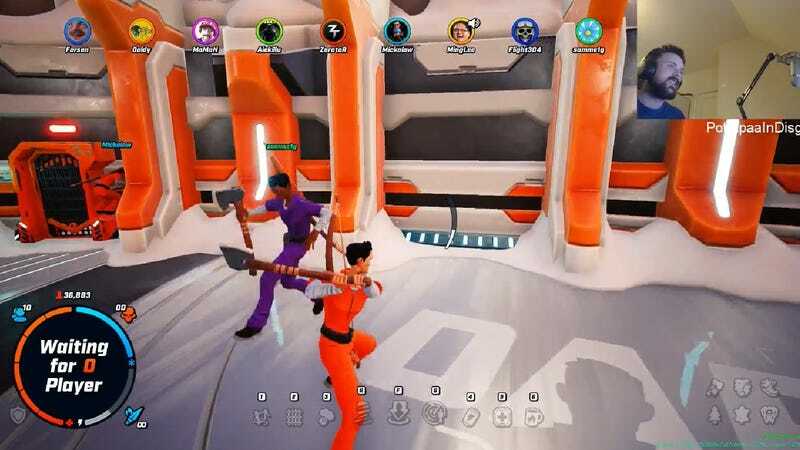 Today, he took part in a developer-hosted invitational tournament to celebrate the launch of new battle royale game Darwin Project. Things were going swimmingly until a familiar face showed up: Samme1g, perhaps the most notorious face among his largely faceless army of stream snipers. Samme1g suddenly appeared in a match lobby while the tournament’s host was explaining the rules. The Darwin Project invitational was supposed to be private, limited to a cast of Twitch stars once again locked in the murder purgatory glass cube that is the latest battle royale game, a cycle they will repeat until the sun collapses or another genre gets popular. For a moment, everybody was dumbfounded. How did this guy get in? Competitors started suggesting that somebody leaked the password. “I did not leak anything!” Forsen shouted. Turns out, popular PUBG/Fortnite streamer Shroud streamed the moment he was told the private room code, which was not a great idea! In all likelihood, Samme1g was either watching Shroud’s stream, or word of the code quickly got back to him. Either way, he capitalized like his life depended on it; thousands of people were watching Shroud’s stream at the time, but Samme1g was the only non-competitor who managed to sneak into the match. The tournament organizers ended up kicking everyone and creating a new room with a new password. While he was waiting to be invited back, Forsen mostly just sat in silence, clearly surprised. You think the most consistently stream-sniped man on Twitch would be used to this kind of thing by now, but clearly, even he wasn’t expecting this level of dedication.